Happy holiday week, my friend! Christmas is upon us, and New Year is just around the corner. By now, I bet you’re all set for Christmas, right? All the presents are wrapped, cookies and sweets are baked, and the house is cleaned… Yes, yes and yes? If not, it’s ok too. We don’t do Christmas gifts in our family, so wrapping gifts is off of my list. Whew! But I still need to bake more cookies (so many fun cookie recipes are out there to try!). And I totally need to clean the house. Before the cleaning begins though, I wan to share with you this amazingly light and airy souffle cheesecake. This fluffy slice of cloud, my friend, is melt-in-your-mouth soft and ultra-light! I know both of the descriptions basically mean the same thing, but I had to point that out. It’s like biting into a cloud. Ok, more realistically, it’s like eating a soufflé! The best part of this cake is that you only need 3 main ingredients. Yes, just THREE ingredients. And yes, it IS possible. I wish I can take the full credit for this genius idea, but I can’t. You might have seen this recipe with white chocolate. But I really didn’t feel like messing around with double boiler and melting white chocolate. So, I went through my pantry in search of a substitute. It didn’t take me long to find a perfect substitution for white chocolate! Hello, sweetened condensed milk! Liquid sugar, I love you!! And making the cake can’t get any easier. Every step is laid out for you below, plus I made a quick video tutorial as well. Make sure to cut the parchment paper for the sides taller than the pan. The cake rises pretty high during baking. But keep in mind that it falls back to its original height, and it’s totally normal. We bake this delicate soufflé cheesecake in humid environment for gentler cooking, and hopefully, without cracks. But hey, if your cheesecake has a small crack on top, don’t sweat. No baking police will be knocking on your door to write you a ticket for that. I promise. Just dust the cake with powdered sugar and top it with fresh fruits for additional flavor. And yes, there is a tiny crack under that pile of pomegranate seeds as well. What really matters is its not-too-sweet, melt-in-your-mouth light and delicious cheesecake! Yes, this cheesecake is simply heaven. If you’re not into overly sweet desserts, or you want to enjoy a light piece of cake, this cheesecake is for you. And you can totally customize it to your own liking by pairing it with caramel sauce, chocolate sauce, or any fruit sauces. Hope you’ll enjoy this wonderful soufflé cheesecake soon! You will need at least 2.5in (6cm) deep 8in (20sm) springform pan. Cut 3.5-inch (9cm)-wide long strip and 8-inch (20cm) round circle of parchment paper. Line the sides and the bottom of the springform pan with the prepare parchment paper. Set aside. In a mixing bowl with paddle attachment, or using a handheld electric mixer, beat cream cheese until smooth and fluffy, about 1 minute. Add condensed milk, beat for another minute. 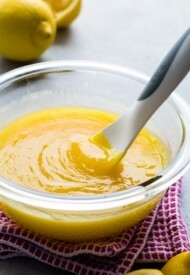 Then add the egg yolks and continue to beat until well combined, 2-3 minutes. Transfer the batter into the prepared pan and tap on the counter a few times to release any air bubbles. Place a baking sheet on the lower rack of the oven and pour about 2 cups of boiling water. Put the cheesecake pan on the middle rack above the rack with water bath. Turn off the oven and cool the cake in the oven for 30-40 minutes. Remove the sides of the springform pan and gently peel off the parchment paper from the sides. Cool completely on the counter, then refrigerate for at least 2-3 hours, or preferably overnight. This affects the taste and texture of the final cheesecake. When ready to serve, gently remove the parchment paper on the bottom. Make sure the cheesecake is chilled and set completely. Transfer the cheesecake onto the serving platter. If desired, dust with powdered sugar and top with fresh fruits. I took a leap of faith last night, and made this for a Church Social. I couldn’t find an 8″ springform pan at the local stores, so I got a 9″ and because it would be a little thinner than one made in an 8″, I knocked about 2 min. off of the cooking time. It smelled good cooking, it looks good, a kind of deep brown, no visible cracks, now I just have to see how it TASTES. The hardest parts were prepping the pan, and resisting the urge to open the oven door and check on it. It came out just slightly thinner than any cheesecake you buy in the stores, and when I touched it, it feels spongy like a souffle would. It’s been in the refrigerator overnight like suggested. I’m not a fan of powdered sugar on things and Duncan Hines has different flavored drizzles now in squeeze packages, so I bought the chocolate. I’m a little anxious to see what the inside looks like, if the outside, and the smell is any indicator, it should be alright. The outside of mine has fallen. It kind of looks like a mound. What did I do wrong? Hmm, weird. Maybe it was underbaked? Mine didn’t rise a bit! I thought I followed the directions to a t!! What could it have been? Hi, Shelly. So your cheesecake didn’t rise while baking at all? This cheesecake doesn’t stay high like cake. After rising during baking, it goes back to its original height. Hi, Miriam. Thanks for the note. I’m glad that you went with the recipe, because that’s the correct temp. I’ll include a note in the recipe card. Hope you enjoyed the cheesecake. I just make this cheesecake …And it’s just amazing . Yay, so glad you love the cheesecake. 🙂 Thank you for your feedback, Tanya. The soufflé turned out just fine with less condensed milk. I don’t know exactly how much I replaced though. Since i thought about it at the last minute i never measured. I think maybe about 1/3 cup less condensed milk, added about the same amount of regular milk, and about a tablespoon of flour. Anyway, it turned out great. It still has the fluffy layer on top, and the more dense layer on the bottom. Oh, I also added a bit of vanilla. Very good. Thank you. Yay, so glad it turned out great! Thanks so much for your feedback, Verbena! I was trying to cut the sweetness so I used less condensed milk, and substituted regular milk, and added a bit of flour. It is rising beautifully but not sure what it’s like inside. Don’t try this at home! LOL!!! I’ll let you know it turned out for those of you who prefer less sugar. Hi, Verbena. Let us know how it turned out. I’m so curious if it works with added milk and flour. I only have x large eggs will this make a difference. Should I only use four ? Please help going to make this today for my dinner guests. Hi, Beth! I think it will throw off the ratio. If you can’t get large eggs, maybe use 4 x-large eggs. Hope you’ll have enough time to chill the cheesecake before serving. I like to make it a day in advance, but if you put the cooled cheesecake in the fridge for 2-3 hours, it should be sufficient. Some people said it tasted eggy when served without chilling. Just an FYI. Hope you’ll enjoy it though. Let me know. 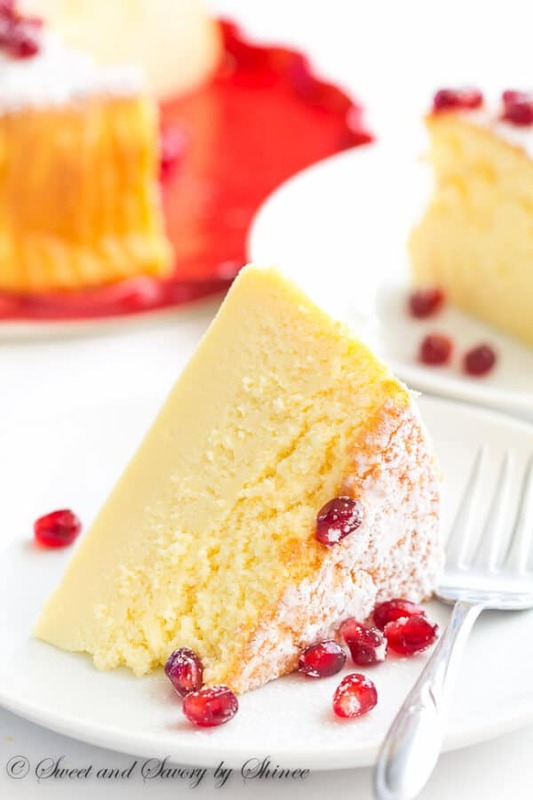 I love any kind of cheesecake and must try this recipe! For those of us who want a fruit flavored cheesecake, here’s a little idea from chef Michael Symon. Heat a 10oz jar of all fruit spread in a sauce pan. Pour it over your cooled cheesecake. Let it drizzle down the sides a bit-it’s OK! The fruit spread gives the cheesecake a little more flavor and helps to hide any cracks on top that might occur! Now you can buy extracts in just about any flavor, they can be kind of expensive though. I might try that one of these times, depending on how the one I just made turned out. I haven’t gotten to try the soufflé cheesecake I made. It’s cooling but it came out very thin (9 inch springform pan) and I don’t think the heat was right. The written recipe says 325 degrees but the video says 350 degrees. I baked at 325 for 45 minutes. Which degree is correct because I am sure I will make another attempt at this cheesecake? Hi, Tabetha. Sorry for delayed response. I apologize for the incorrect info on the video. We want to bake the cheesecake at 325°F. The reason your cheesecake is thin is that you used 9-inch springform pan. The recipe calls for 8-inch pan, and that makes quite a bit of difference in the thickness of the cheesecake. But I hope you enjoyed the cake nonetheless. For those that had theirs turn out flat, wonder if they are over beating and takes the air out of 5he egg whites. Thanks for the input, Amos. I noticed most people use a bigger pan. I made it and it was very easy. Everybody loves it! Awesome! Thank you for your feedback, Maria! I made it and it was a hit!! Very easy to make it. Thank you! Has anyone tried it with the caramel and chocolate flavored condensed milk? I think I’m gonna have to try one of them…. Hi, Tracy. I had no idea there were flavored condensed milk! I’m sure it’ll work great. Let me know if you give it a try! Hello – have you tried substituting the cream cheese with mascarpone? Hi, Shirley! No, I’ve never tried mascarpone, but that sounds interesting. Let me know if you give it a try! Hi, thank you for the recepie ! I love the flavor and how easy it is ! The only thing is that mine deflated and became pretty thin … I used a 9inch pan is that why ? Hi, Lidiya! So happy to hear you loved the cheesecake. Yeah, it’s totally normal for the cheesecake to puff up during baking and come back to its original height as it cools. With 9-inch pan, it does yield flatter one, so I highly recommend 8-inch pan. Hi what type of cream cheese should I use? whipped, regular, or philadelphia? Hi, Rachel. I recommend regular brick-style cream cheese. My personal favorite is Philadelphia cream cheese. I made this recipe today and it is truly as simple as you said! The hardest part was the parchment 🙂 I found the texture to be like an Italian cheesecake, not totally smooth but not gritty, simple perfect. I did find the flavor a little flat though so I think next time I will add some vanilla or maybe almond. Have you ever put anything into it like chocolate or berries, like a swirl? Just curious if it changes the souffle’s ability to rise. Ah, yeah, I hate the parchment part as well. But using those paper clips helps a ton! I have a lemon version of this cheesecake, which I love. Though I never tried swirling in other ingredients, I don’t think it’ll work. I think the chocolate, or berries will be too heavy on the batter and will just sink to the bottom at the very best. I suggest serving the plain or vanilla version with fruit sauce or chocolate ganache on the side for variation. Hope this helps. Thank you for your feedback, Kristina! How do you get the top layer? It looks like bread!? But there is no flower! Hi, Sandra. That’s the magic of this cheesecake. 🙂 I don’t know how it works out like that, but it comes out of oven like that. Hope you give it a try. I haven’t made this yet having just receiving the recipe from a friend, my question would be..is there no need for vanilla or a bit of confectioners sugar mixed with the cream cheese…or does the condensed milk have enough of the sweetness…thanks in advance, it certainly sounds delish and the reviews are wonderful..
Hi, Mona. I’m glad to hear you’re planning to make this cheesecake. You can definitely add some vanilla and/or any other flavorings you like (I love adding lemon zest and juice, for example). But no need for additional sugar, sweetened condensed milk gives enough sweetness. Let me know how you like it. This looks like it would melt in your mouth!! It sure is. Thanks, Megan! Hi, Tara! Do you mean the flavor or texture? To me, this cheesecake is not egg-y at all, and some of my readers who have tried this recipe also agreed with that. I’d describe the texture as double layer. It’s light and fluffy on the top, and kind of custard-y on the bottom. Yay, so glad you liked it. Thanks, Tara for your feedback. Hi, Anna. You can make it up to 2 days in advance. Cover it and refrigerate it until ready to serve. Hello, Just wondering, when cooling the cake in the oven, do you crack the oven door open or leave it closed? Hi, Kara. I leave the door closed. You want a slow cool down to prevent cracks in the cheesecake. Hope this helps. Hello I baked this recipe today but havent tasted it yet but it smeels a bit eggy is that how it is suppose to smell coz i was about to add vanilla when i was beating considering there is alot of eggs in it … plz advice. Thanks. Hi, Heba! Thanks for trying my recipe. To me, it never tastes too eggy, and no one from our family says it’s too egg-y. But everyone’s tastebuds are different. Some people’s tastebuds are more sensitive than others. I hope you enjoyed the cake though. And please let me know if it was too eggy to your taste. I’d love to know. Thanks for your reply. The taste was amazing. Such an easy and quick recipe. The taste wasnt eggy at all i was talking about the smell when i got it out of the oven. .. is that how it would normally smell? I guess, I never noticed the smell. 🙂 I’ll pay a close attention to it next time I bake this. I’m happy to hear you loved the cheesecake. 🙂 Thanks for reporting back! Hi. I’m confused when it says fold it in half for the egg whites do you mean stir in half then stir in the other half? Hi, Kaitlin. Sorry for confusion. Yes, you got it right. 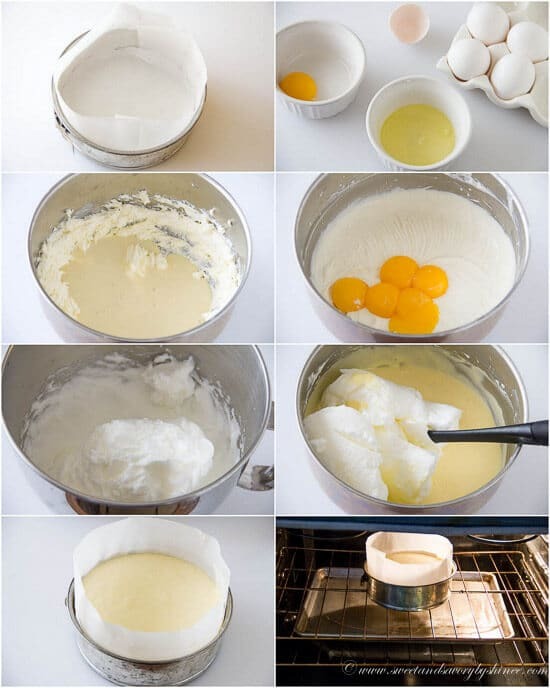 Add half of the whipped egg whites in the batter and gently mix it, then add the remaining egg whites and mix again. Hi how are you? 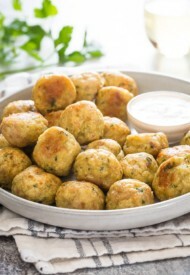 I love the recipe but I was wondering if I could make them in cupcake pans? Hi, Gennifer. I wouldn’t recommend it, but I’ve never tried it before to be 100% sure. Sorry for not being so helpful. My dear Shinee, I make a cake and is delicious, a food for angels! 🙂 What can i say more? I’m really really glad, that i find you and your recepy. Sorry, because my english is not so good, but i hope that you understand what i mean. The cake was fluffy, just like on your photos. Yay, so glad you loved it, Andreja! I love your description: food for angels!! 🙂 I so appreciate your feedback! Hello Shinee, haha… Ok, but 1 1/4 cups is 300 ml. So, now i can finally cake this cheesecake. Yes, 1 ¼ cups = 300ml. But as you know, measuring in ml is way more accurate than cup measurement. And when I measured, it was 275ml, was very close to 1 ¼ cups, but not quite. BUT if you use 300ml of condensed milk, it won’t be a big deal. Hope you’ll enjoy, and let me know how it turns out. So, 14 oz (400g) condensed milk is equivalent to 1 1/3 cups or 315 ml. I make a condensed milk by myself, because my husband is diabetic. Remember only water is ratio 1:1, thats mean 400g= 400ml. Hi, Andreja! Thanks for the follow-up. And you’re right. 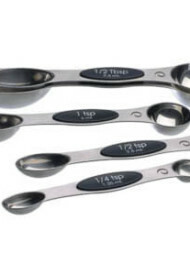 I just poured a can of condensed milk (label says 14oz/397gr) into a liquid measuring cup and it comes to 1 ¼ cups, or about 275ml. I updated the recipe accordingly. Thanks so much again!! You state after letting the cake cool on the counter to remove the spring pan and paper, but then later after you put it in the fridge you say to remove the paper. …which is it? Hi, Charley. So in step 13, you peel off the parchment paper strips around the cake (sides). And in step 15, you remove the parchment paper that’s on the bottom. Does that make sense? Hello Shinee, tell me please is this right mesaure for condensed milk, because i come from italy, and we measure condensed milk in ml. So, 14 oz (400 g). 400 g is about 300 ml. Is this right? Hi, Andreja. Sorry I didn’t get back to you sooner. I took the measurements from the label on the can. But I think you’ll need 400ml of condensed milk. Hope this helps. hello . i tried this and it was divine. do you mind if i shsre it with my friends on instagram ? Hi, Farzana! So happy you loved the cheesecake. Thanks for asking for permission. I’d really appreciate if you share your photo with a link to the recipe, instead of posting the whole recipe on Instagram. Hey Angel, so glad you loved the cake. And I’m happy to see your adjustments. Will give it a try when I want to double it. You’re so right about the importance of each ingredients. Since it requires so few of them, it’s important to use quality ingredients, especially cream cheese. Thanks for your feedback!! Hi, Laura! So I’ll be honest, I had a hard time to come up with a good ratio for my 9-inch springform pan. 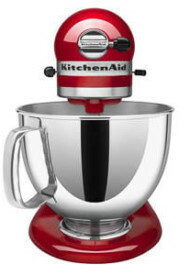 You can give it a try with your adjustments, but I can’t advise on how long you’ll need to bake etc. I think it may take longer than 55 minutes to bake. Not sure what happened but my souffle fell while in the oven. It’s flat like a pancake! It poofed up beautifully but took a nose dive. Haven’t tasted it yet – not sure what i did wrong. I went back and re-read the recipe but couldn’t find where I might have gone wrong. Anyone have suggestions? Hi, Sherry. Sorry to hear your troubles. So this cheesecake actually stays the same height as it was when it was raw. It does rise nicely, but it’s totally normal for it go back to its original height. Did you use 8-inch pan? I’m wondering why yours went flat as pancake though. That’s pretty weird. Hope it taste better than it looks. Just made this cheesecake and I have to say I am very disappointing. It’s way of time and my ingredients. I won’t be making it again. Hi, Julia! Sorry to hear you’re disappointed. Would you mind to let me know what seems to be the issue. Did you not like the taste of the cheesecake? Or did something went wrong? I’d love to help you to troubleshoot the issue. I make this cheesecake on a regular and my family always love it. If you have a minute, I’d appreciate more details. Thanks for your feedback though! thank you for your prompt reply. The cake is too soggy, sickly sweet (although you say it’s for people who don’t like very sweet desserts- not that I don’t- but me and my bf still find it extremely sweet. Also, in our view, it DOES NOT taste anything like cheesecake. We can instead taste eggs and sugar. I followed the recipe, which I thought wasn’t difficult at all. I even made the effort and put those 2 glasses of water on a tray under my baking tin- still the outcome is poor. I am good at baking and bake quite often, hence the disappointment. Julia, thanks for more info! It helps. I’m surprised about soggy issue, mine never comes out soggy. As for taste, you’re right, it doesn’t have that traditional cheesecake flavor, hence the name “soufflé cheesecake”. Anyway, thanks again for the details. Such detailed feedback helps me to provide more accurate description for the recipe. I just accidentally put it in a 9″ pan. Whoops! I’ll let you know how it turns out. Oops, I bet it was on a thin side, huh? I hope it still tasted good. Let me know, Christina. Hi! I just made this recipe, but I have a really deeply cracked top! Why can be? I’m confused. I bet it taste incredible, but not look like yours. Thanks Shinee! This recipe is great. All love them, because is not so heavy like a plain cheesecake. The next time I will try bake it in a low temperature, maybe that way raise less. Glad everyone loved it, Fran! Don’t turn it the oven too low though, maybe try 25°F lower. And maybe try cooling it in the oven longer once baked. 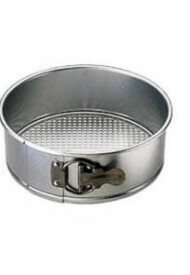 I have a 10″ spring form pan, can I double the recipe? Hmm, honestly I wouldn’t recommend it, Patricia. I have 9-inch pan and I had a hard time baking this cake in a large pan. Sorry. Yay, so glad you tried the recipe. Thanks for stopping and leaving your feedback, Zahabia! ¿Se puede poner una fuente de horno con agua en el fondo del horno, no un estante? Eso debería funcionar bien. ¡Hola! La bandeja con agua se coloca en un estante inferior y torta de pan es en el estante de arriba. Tengo un paso a paso la foto en el post anterior, que deberían ayudarle. ¡Que te diviertas! 8″ springform pan too big for soufflé cheesecake. Was very disappointed. Hello!! Looking forward to trying this! Could you let me know if this can be doubled? 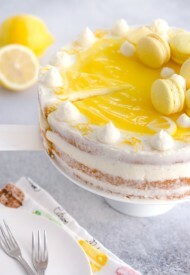 I want a full-looking cake but didnt know if you’ve tried it! Thanks! Hi, Chase. I wouldn’t suggest that. During my testing, a little bit of change made a huge difference (and not in a good way). Shinee, this cheesecake looks so insanely delicious! Pinned! I have made this twice in one week, and I’m in love with this cake. I found it better after it set in the fridge, as the bottom became more of a cheesecake consistency. This is so easy to make! I topped my last one off with blueberries, and this time I’m doing a side of brownies with salted caramel for my father in law’s Birthday! Thank you for this recipe!! Breanne, your blueberry topping sounds amazing. And yeah, this cheesecake is pretty dang easy. I’m so glad you loved it. Hope you enjoy it even more with that side of brownies with salted caramel. Yum!! Thanks so much for your feedback! thank you for this recipe. I’ve tried the 3 ingredient recipe with white chocolate – taste was ok but didn’t quite rise. Wanted to try again but like you, really didn’t want to melt the chocolate. Anyway, came across your recipe and made this a week ago, the entire household loved it, gone in less than a day. My second time with this recipe is in the oven now for my son’s bday tomorrow. Hope it is successful!!! This looks awesome and I’m planning to make it today. Will it keep overnight in the fridge? It’s for a 40th Anniversary tomorrow. Thanks! Hi, Susan! Happy Anniversary! Yes, the cake will be fine in the fridge overnight. Happy baking! I LOVE IT made it and the same day my family eat it all. it was the perfect desert it was just the right amount of sweet and soft . i just love it. Hi, Chrisbeth! 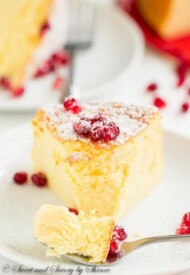 I’m so happy to hear that you tried this soufflé cheesecake! It’s so light that I’m not surprised it was devoured the same day. 🙂 It happens in my house all the time. Thank you for leaving your feedback! Have you ever tried this with fat free sweetened condensed milk and low fat or fat free cream cheese? Hi, Pat! Honestly, I had no idea there was fat free sweetened condensed milk. So no, I’ve never tried it for this recipe. And I personally don’t like low-fat cream cheese, so I also wouldn’t recommend it. What do you mean by “turn off the oven and cool the cake in the oven for 30-40 minutes”? Does that mean leave it in there while the oven cools down? Yep, just let the cheesecake cool slowly as oven cools down. This minimizes the risk of getting a crack in the cheesecake. Hope this helps. Happy baking, Lynne! Looks amazing. Could I use normal milk instead of sweetened milk and add some sugar? Laila, I’m not sure. I didn’t test this recipe with milk and sugar, but I don’t think it work out, because milk and condensed milk have different consistency. I strongly suggest using sweetened condensed milk. Three ingredients for such an awesome cake!? Brilliant!! Pinned onto my “to make” board. Right? It’s amazing! I hope you enjoy it as much as we do. Thanks, Nicole! I made this and it came out perfectly. Not too sweet and just delicious! Awesome! I’m so glad you loved it as much as we do, Judith. Thanks for your feedback. This truly looks dreamy and luxurious. 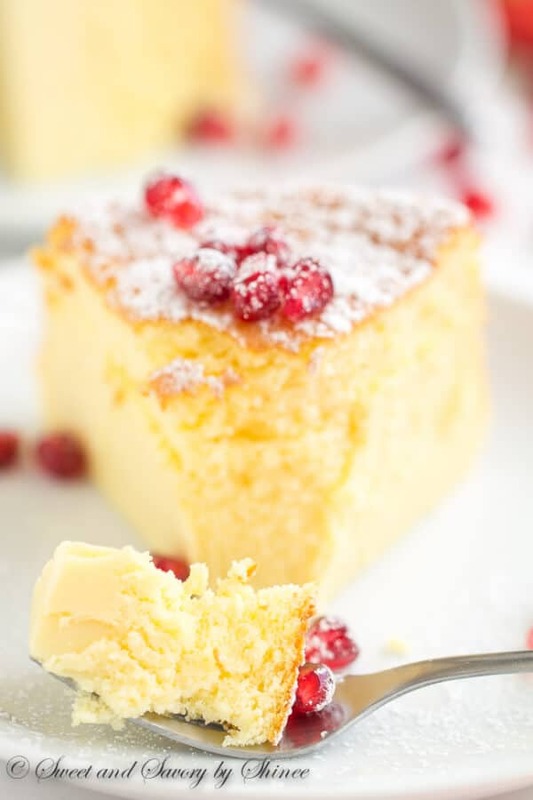 What a great cheesecake recipe! The consistency of this cheesecake looks so light and fluffy. I bet it tasted as delicious as it looks. It sure does. 🙂 Thank you, Christine. I don’t have an 8″ springform. Any suggestions for adjusting for a 9″ pan? I realize it will affect the depth and am ok with that. The recipe as is will yield too little batter for 9inch pan. The cake will be too thin. However doubling might yield too much, but I’m not too sure. Sorry, Cheryl. is it “sturdy” enough to serve as a middle layer of a 3-layer cake, or will it collapse? When the cake is completely cooled, it’s pretty sturdy. I think you can sandwich it between 2 layers, but then again it’s hard to say exactly. It depends on how heavy the top layer and filling/frosting are. This looks delicious! Do you think I could add an extract or emulsion to create a specific flavor? Absolutely, Cheryl. That’s a great idea. I don’t own a springform pan so what would you suggest as a alternative? 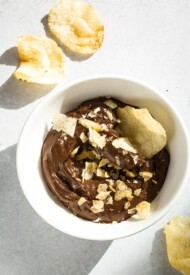 Hola Shinee, me encanta tu blog y desde ahora te voy a seguir, me quedo con tu receta del sufle de queso, se ve delicioso y voy a hacerla ya, un beso y feliz de haberte encontrado. Will be making this, but am wondering…would a graham cracker crust on the bottom work? Your thoughts? Hmm, I don’t think it needs graham cracker crust, Debra. The bottom doesn’t come out sticky at all, so it’s hard to say if it’ll stick to the crust. Terry, what size pan did you use? It’s normal for this cheesecake to rise and then get back to its original height, as it cools. So, if you used larger than 8in pan, then your cheesecake wouldn’t be as thick as mine. I hope you enjoyed its light and fluffy texture and taste. Could I make this in a souffle dish? I don’t want to own a sprinform pan. Claudia, it will be hard to remove the cake from the soufflé dish. 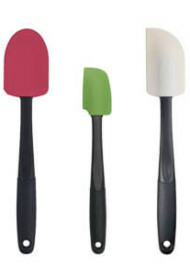 With springform pan, you don’t have to dig out the cake. I’m definitely trying this out, my son loves to try new recipes with me, when ever I get him off his video games, I think this might do the trick! Ally, this cheesecake is awesome. I’m planning to make it again tonight for NYE. I’m sure you’ll love it. Let me know when you make it. Deebi, you’ll love this! I’m also a huge cheesecake fan. Let me know what you think, if you try this recipe. What a great recipe!! I need to try that. Pinned! This is just gorgeous Shinee, I love how fluffy it is! Wish you lived in Toronto so I could buy up everything you make, LOL! This looks absolutely amazing, definitely making this for New Years! Thanks for posting your amazing recipes with easy to follow instructions and also for always including winner photos! Right? I love this one, I hope you do too, Ashley. Thank you!